Hello Friends, Followers, and Holiday Fun Lovers! 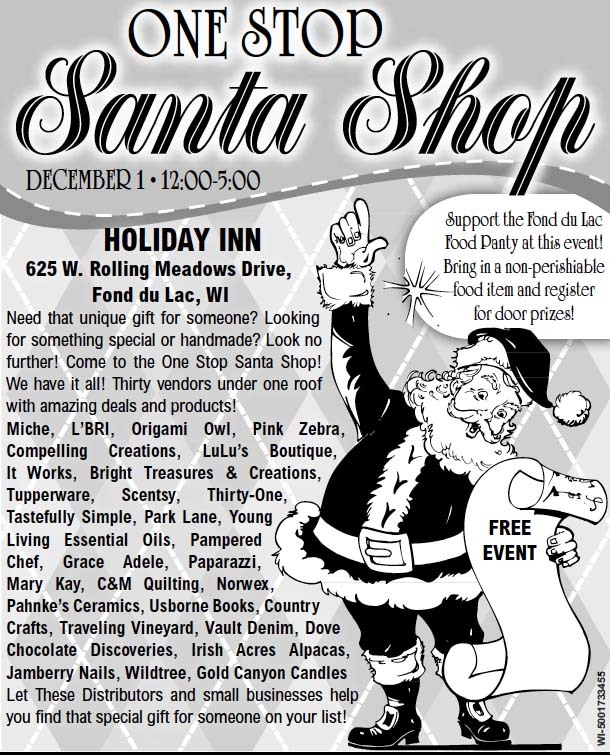 I was invited to participate in a One Stop Santa Shop event in Fond du Lac next Sunday afternoon, December 1. And since FUN is often on the other side of Yes, I’ll be there — with lots of wonderful Young Living essential oils to experience, smell, enjoy… and other WonderSpirit kinds of resources too… angel card sessions, book marks, gift-aways … and maybe Santa … I have connections…just can’t make commitments for somebody else… Still…maybe. If you’re near Fond du Lac Sunday, that will be a perfect opportunity to meet if we haven’t already, or to reconnect if we have. I’m looking forward to a fun time and connecting with my people. Have a wonderful Thanksgiving Week. Look forward to seeing some of you Sunday in Fond du Lac!